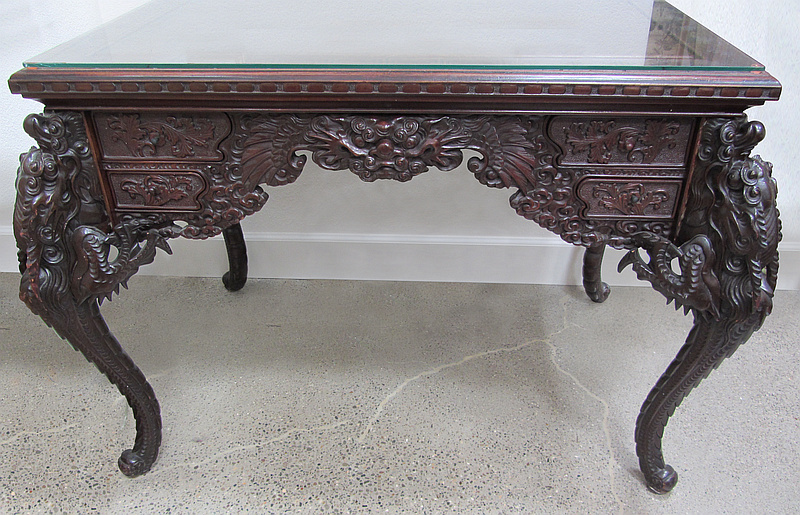 Elaborately carved Chinese center table of ebonized wood with winged cabriole legs and eight small drawers. Finished all around. New glass top.